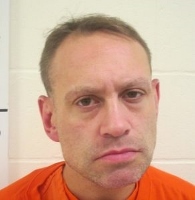 ALFRED, Maine - A Sanford man was arrested on Tuesday after he brought crystal meth with him to York County Superior Court, law enforcement officials say. Ronald Seth Johnson, 44, was charged with felony drug possession. The drugs were discovered by court security personnel. Bail at York County Jail was set at $5,000. A Class C felony crime carries a maximum prison term of five years.